John Arnold Griffin III (1928 - 2008) was an American bop and hard bop tenor saxophonist. Like many other successful musicians from Chicago, he studied music at DuSable High School under Walter Dyett. 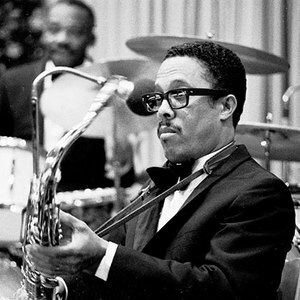 Griffin, was reputed to be the 'World's Fastest Saxophonist' in the jazz idiom, though as he aged, and as the jazz audience declined, this accolade all but disappeared. In the 1940s and 1950s he worked in Lionel Hampton's and Joe Morris's bands, in The Jazz Messengers, and in the Thelonious Monk Quartet. From 1960 to 1962 Eddie "Lockjaw" Davis and Griffin led their own group. Having felt he had achieved much in the USA, his pinnacle on record arguably the 1957 Blowin' session on the Blue Note label with fellow tenor John Coltrane, he moved to Europe. He lived in France in 1963, moving to the Netherlands in 1978, and he still continued to record and tour until his death in 2008.